I’m posting this here for two audiences: angel investors and founders (including would-be and wanna-be founders) of startups. I was one of four judges, all of us members of local angel investment groups working with the gust.com platform. In two hours we had pitches and questions and answers. Then we met for 30 minutes and chose a winner. This was in Corvallis, OR, for the Willamette Valley. This isn’t exactly news. It was a Startup Weekend as conceived and licensed by the organization at startupweekend.org, supported by the Kauffmann Foundation, Google, Microsoft, Amazon.com, and others (my company was a sponsor of this local one). You probably already heard of it. I had, and I’d been invited to speak or judge before, but hadn’t been able to actually do it until now. 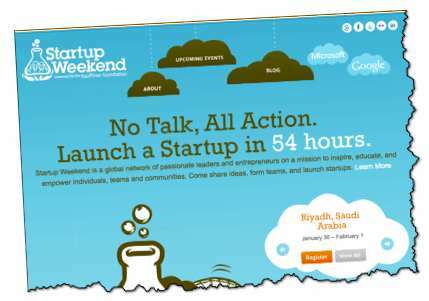 The Startup Weekend organization has run 970 of these weekends in 108 countries and is doing about seven or so every month now. It’s a good reminder about what it takes to start a business. The whole thing started Friday with a vote on the better ideas. They formed teams, worked Friday night, Saturday, and Sunday. They ended up with market validation, execution, and what seemed like a lot of progress in very little time. Several of the pitches looked like interesting prospects that could happen. It was a lot of fun, good for the local startup community, and good for the 75 (or so) people who spent all weekend doing it.